Now… Would you like to hear me make a fool of myself? Read on. 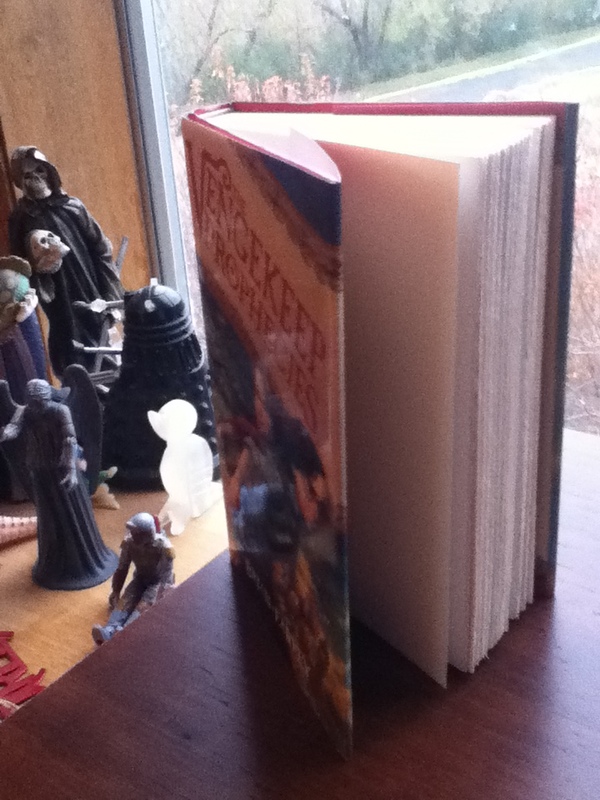 If I get 10 comments on this post, I will give away 1 signed copy of THE VENGEKEEP PROPHECIES. If I get 20 comments on this post, I will give away 2 signed copies of THE VENGEKEEP PROPHECIES. If I get 30 comments on this post, I will give away 3 signed copies of THE VENGEKEEP PROPHECIES. If I get 40 comments on this post, I will give away 3 signed copies of THE VENGEKEEP PROPHECIES plus a $20 gift certificate to the online book buying venue or your choice. And here’s where things get interesting. If we hit that 20 comment mark (and I’m talking 20 original comments, no repeaters), then I’ll offer another prize to all those who win copies of the book. Over on Grimjinx.com, you can currently download a free short story prequel to THE VENGEKEEP PROPHECIES called “The Brigand’s Throne.” It’s a PDF anyone can download. Go ahead. It’s free. At my Red Balloon Launch Party, I’ll be giving away a limited edition CD of me READING that short story. My intent was to make that CD available only at that event. But I’ve changed my mind. 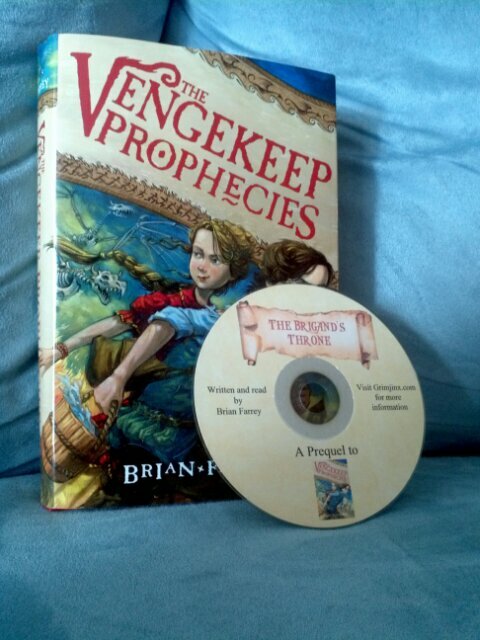 Now, for every book I give away, I will include a CD reading of “The Brigand’s Throne” by yours truly. To clarify, this is NOT an audiobook of THE VENGEKEEP PROPHECIES. It’s a dramatic reading of the prequel short story. Lots of fun things happening on the book front. Ooooh! Deckled edges! Fancy schmancy! I think the Grimjinxes would approve of that description. Just don’t spend so long basking in their approval that you lose sight of your wallet. Please join me for a reading/signing of THE VENGEKEEP PROPHECIES at Red Balloon Bookshop in St. Paul on Sunday, Oct. 28 at 2:00pm. There will be cake! There will be prizes! If you can’t make it, I’ll understand. I’ll cry too, but I’ll understand. I’m hoping to set up at least one or two other signings here in the Twin Cities in the months to come so if you can’t make it to Red Balloon, keep an eye on this space for more info. To celebrate all this wonderfulness, I’m going to give away up to three signed copies of THE VENGEKEEP PROPHECIES. “Up to?” You ask. “Why ‘up to? '” Well, see, it’s like this. I have this terrible fear that no one will want one. Yes, I’m insecure. Sigh. So maybe you can help me drum up some people who care…? Here’s how it works: for every ten comments I get on this post, I will give away one signed copy. Twenty comments? Two signed copies. Thirty comments? Three signed copies. Forty comments? Still only three signed copies (that’s where the ‘up to’ comes in). BUT, and this is the brilliant bit, if i can get fifty people to leave a comment below, one additional lucky winner will get a $20 giftcard to the book buying venue of their choosing (providing I can purchase it online). Note: I have comment moderation on so if your comment doesn’t immediately show up, fret not. No need to comment multiple times. I will soon free it from the Comment Moderation Bastille and it will join the others below. *=I should note that the event is in Minnesota. Of course, if you’re from out of state and you want to come, I’d love to have you. Airfare, accommodations, and meals are on you. But you’ll have my undying gratitude. Honest.